James Kalm visits the exhibition Anke Weyer: Du at CANADA Gallery, New York, on view through January 26, 2014. Kalm notes that Weyer's new paintings "are human scaled, reflecting a performative relationship between the canvas and the artist's body and its physical gestures. 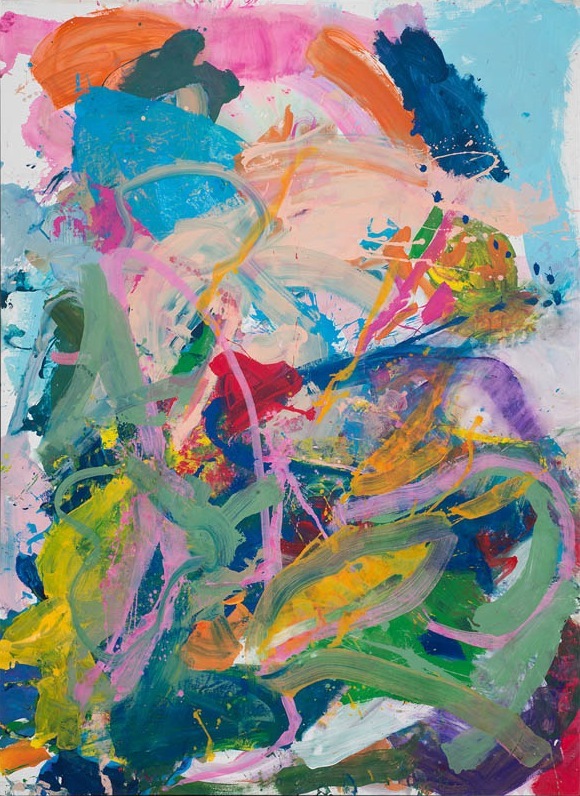 Using a freewheeling mixture of acrylics and oil paint, and a 'provisional' approach to presentation, Weyer extends a legacy of Abstract Expressionism with a "new media" aesthetic, at once knowing yet distanced through time and virtual information."